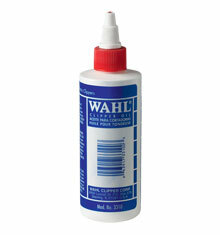 The Wahl Academy Motion Clipper is designed to make cutting hair a more comfortable and smoother experience. 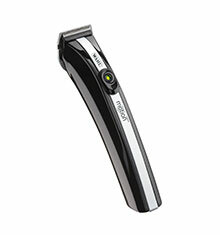 Helped by the smooth curve of the design, the Motion Clipper allows you to do things you never thought possible with a clipper. Featuring the latest lithium ion battery technology allows you to cut without the restriction of a cord and will maintain power for 90 minutes with just a 45 minute charge time. 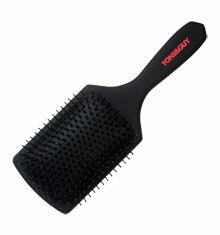 The detachable scissor handle also offers a comfortable support and allows the clipper to be angled for more fluid movement and added precision. The LED indicator uses a traffic light system to display how much battery life is remaining. 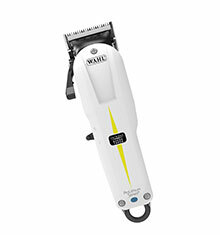 Other benefits include the featherlight weight at just 270g, dual voltage for worldwide use and not forgetting Wahl's famous rust-resistant, super sharp quick release blades for when you want to change the blade set. 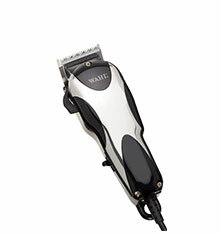 The Wahl Academy Motion Clipper comes complete with a charging stand, six attachment combs, a cleaning brush and a bottle of clipper oil.